A plenary session of the House of Councillors on May 13 unanimously passed a bill to set up a sports agency run by the Ministry of Education, Culture, Sports, Science and Technology (MEXT). It will be launched as an extra-ministerial body in October and speed up government-led efforts toward the 2020 Tokyo Olympics and Paralympics, bringing changes to the Japanese athletic landscape. 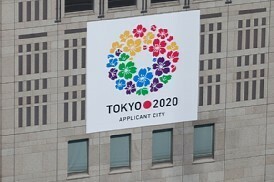 It was shortly after Tokyo won its bid in September 2013 to host the 2020 Games that plans for establishing a sports agency as stipulated in a supplementary clause of the Basic Act on Sport began rapidly to take shape. Looking back on that time, a then-senior MEXT official says, "It wouldn't have been possible without the Olympics." The plan ran the risk of being canned due to the administration changing hands as well as administrative reform, and is understood to be an issue that doesn't buy politicians a significant number of votes. But bureaucrats say they witnessed non-partisan cooperation and passion among politicians to get the plan off the ground. It all began with a report that came in 2007 from the private advisory body of House of Representatives lawmaker Toshiaki Endo when he was senior vice education minister and serving as the head of a project team within non-partisan Parliamentary Association for Sports. Titled "Strategy for a Sports Nation," the report suggested that sports be a part of national strategy, stressing that "unless the state put its weight behind the effort, Japan would not succeed" in overcoming such crises as the meager single-medal win at the 2006 Winter Olympics in Turin. In response, the ruling Liberal Democratic Party set up the Research Commission for the Establishment of a Sports Oriented Nation. This led the sports and political worlds to draw closer very quickly. The sports world had maintained a certain distance from politics after athletes were forced to boycott the 1980 Moscow Olympics in adherence to the government's position. Today, however, a senior Japanese Olympics Committee (JOC) official from that time says, "Now, we can't have sports without the involvement of politics" -- the reason being funding. Sports world heavyweights made frequent contact with politicians to appeal for the government's backing in the bid for the 2020 Olympics. Sports-related budgets have soared, with the current fiscal year's budget up by 3.4 billion yen from the previous fiscal year, to reach a record high of 29 billion yen. That's around 10 billion yen more than sports-related budgets in 2007, when the report that got these efforts rolling was released. MEXT and the JOC pledge that as a result of such investment in athletics, Japan will aspire to come away from the 2020 Tokyo Olympics with the third most number of gold medals. To achieve this goal, Japan will have to win around 30 gold medals, far more than its record of 16 that it got in the 1964 Tokyo Olympics and 2004 Athens Olympics. And in order to achieve such a feat, the JOC anticipated it would need financial assistance from the government so that it could implement full-time coach appointments for top-ranking athletes and allow for more overseas tours. Then the unexpected happened. The government expanded its involvement. Starting with this fiscal year, a MEXT team will decide how the funds are distributed based on the probability of winning medals. In the past, the JOC had had control over such decisions. But a senior MEXT official explains, "As long as we're pumping tax money into sports, it's only natural that we select where it goes." The JOC's various scandals involving violence and irregular accounting had led to a crucial loss of confidence in its governance. The JOC will still take part in the process of deciding the distribution of funds, but how much of a say it will actually have remains to be seen. "This puts the JOC in a bit of a bind," says JOC official and upper house legislator Seiko Hashimoto. "But it's our job to turn a bind into a positive result. Who will head the new agency is still up in the air, but the appointment is expected to happen as early as this summer. Education Minister Hakubun Shimomura says it'll be someone "who is well-versed in sports, and has both leadership and governance skills." Meanwhile, names such as Saburo Kawabuchi, supreme adviser to the Japan Football Association, and Yasuhiro Yamashita, who won a gold medal in judo in the 1984 Los Angeles Olympics, have come up as possible picks. An Olympics and Paralympics special measures act that stipulates the appointment of a Cabinet minister dedicated to the 2020 Games is expected to pass this month. While most of the current focus is on the upcoming 2020 Games, the original purpose of a sports agency under the Basic Act on Sport passed in 2011 is to protect "the right of the people" to live in a "society where they can enjoy a happy and fulfilled life through sport." With Shimomura saying he hopes the new sports body will allow all Japanese citizens to enjoy health through sport, one major challenge is implementing specific measures to ensure the athletic world continues to flourish even after 2020.